Fold-forming was invented by Charles Lewton-Brain in the late 1980s as a completely new way of forming, folding and unfolding sheet metal quickly into wonderful 3-D shapes and textures. 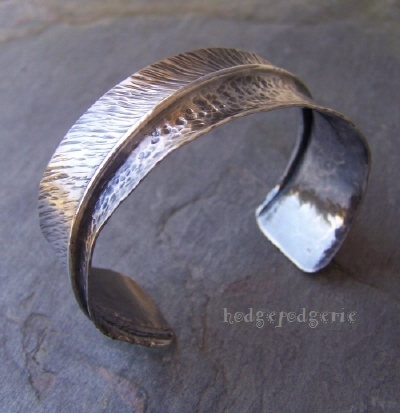 In this 6 hour Fold Forming Basics workshop you�ll make pendants, cuffs, leaves and earrings from copper sheet metal. Heat patinas will also be discussed and applied to some of your pieces. All skill levels welcome. Students must be comfortable around the torch. "Probably the most fun jewelry making class I've ever taken." 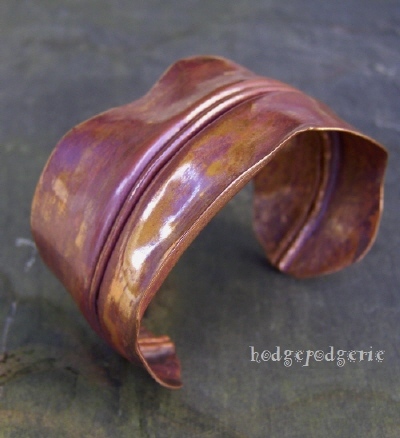 Return from "Fold Forming Basics" page to "Wire & Metal Jewelry Classes" page.